QLab is a clean and modern PSD Template created for agencies that provide web site maintenance, and security services. This entry was posted in Which Open Source Blog on September 30, 2017 by Administrator. Be one of the first five to own Vince for $49. Then it would be $56. Vince Drupal is fully responsive, creative, clean, superb and multipurpose one page and multipage templates with latest web design styles. It has perfect ready to use demos for any type of business like design corporate, agency, modern agency, startup, freelancer, mobile app, landing page, business, coming soon, blog, portfolio, login, etc.It is friendly for designer and developer customization, Speed optimized, well documented, commented, structured, well tested in all browsers & devices and contain easy to understand code. Apps Craft is an Ultimate Responsive WordPress Theme for any marketing display professionally and in a different way. Apps Craft is a modern and fresh looking Template which can boost your sale with its Awesome look and feel. It contains 7+ creative designs and ideas for your Business, Agency, App, Event, Product, SEO, Promotional and Special Landing pages. Full functional Mailchimp Subscription Form & Ajax Working Contact Form included. Very helpful documentation file attached with download file for helping you setting up Apps Craft. We included Apps Craft Layered PSD files to get all the mobile mockup useable with your screenshots. Mordern and Flat Design Real Estate is Very Modern and world Standard HTML5 Template. Real Estate HTML5 Template used Less CSS that very effective for change color,font styling. Developer friendly code based on Bootstrap and LESS, so editing and adding your own content is quite easy. We have created Real Estate Template with strong focus on User Experience in every detail. Every element is designed to work well on any popular device. Real Estate Template used Font Awesome Icons for all website Template. Using Less used to style for all pages. Bootstrap. Developer friendly code based on Bootstrap and LESS. Verza psd template is design for app, portfolio & agency landingpage website. Free Font Awesome Icons by Font-Awesome. Please Note:All images are just used for Preview Purpose Only. They are not part of the PSD templates and no included in the final purchase files. CloudSky is a Multipurpose Domain, Hosting and WHMCS Template designed for all kinds of Technology, Domain and Hosting Business. 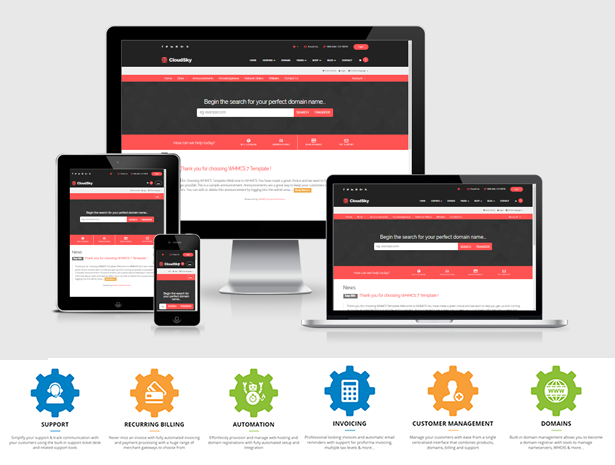 It’s an HTML5 template based on latest Stable Bootstrap v3.3.7. Also included 10 WHMCS Template based on WHMCS v7.3. Anyone can easily update/edit this plugin to follow our Well Sorted Documentation. Moya : is a modern clean HTML personal portfolio template, Moya is suitable for personal portfolio, designer portfolio. developer portfolio, photographer portfolio and makeup artist portfolio and more portfolios are coming. it perfectly fits those who want t represent themselves in a modern way. if you want to highlight your works or sell your skills or move your work experience and career to the next level, no matter what is your profession, the moya is made for you to highlight your career. WindMill is a simple, clean and modern personal blog & magazine WordPress theme. It is totaly responsive so it adapts to any device it is viewed on. It has a harmonious fluid grid using a mobile-first approach, and impeccable polish in every detail. WindMill will make your WordPress look beautiful everywhere. 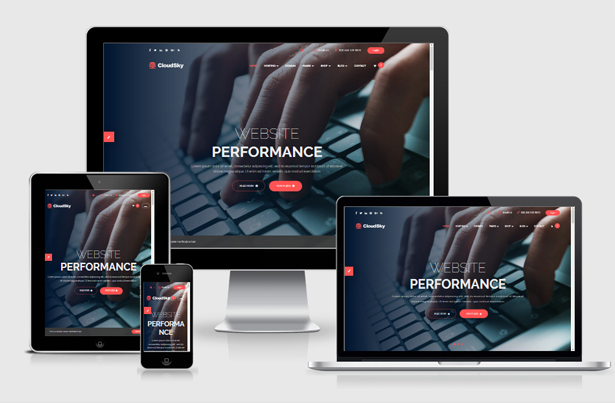 Easy installation and powerful settings are all you need to build excellent websites. 3 Header Options – choose the one that suits you. Posts Carousels to show your posts on home. 3 Custom-built widgets for blogs. Widget support for content, sidebar and footer. Responsive layouts built on Bootstrap 3. Slick Carousel by Ken Wheeler. All images are taken from Pexels and licensed under Creative Commons Zero license.